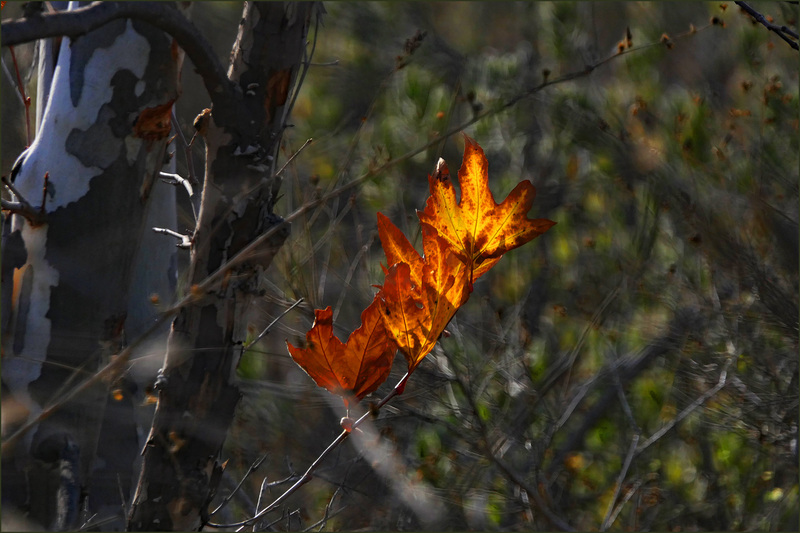 It’s January, but there’s still plenty of color left on the trees here in Southern California. Mostly you see it on the liquid amber trees, but the tail-end of the maples are still around too. 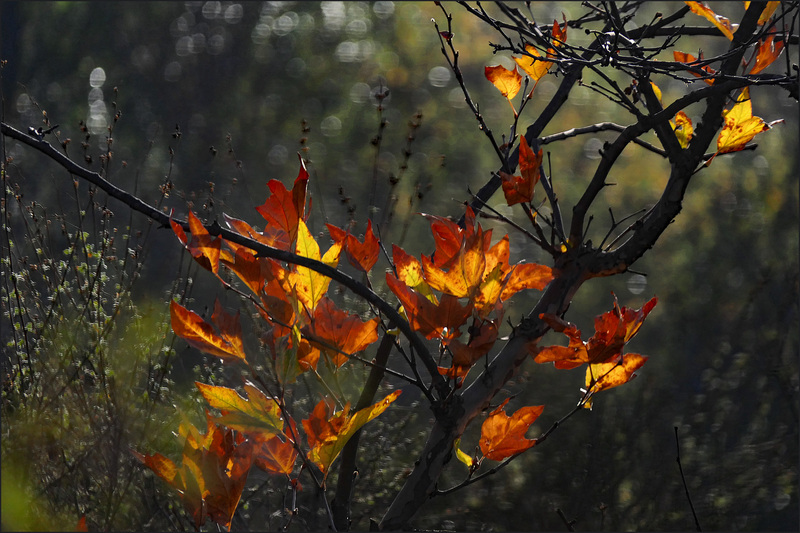 These maples are out in Black Star Canyon, and quite brilliant when they’re backlighted by the afternoon sun.